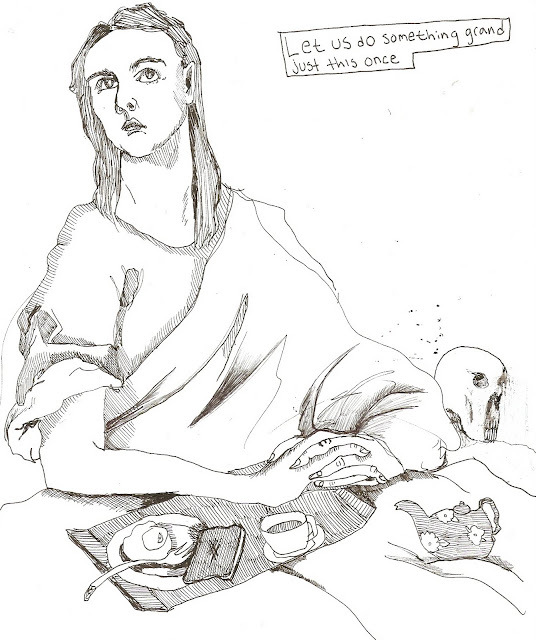 Bianca Stone Poetry Comics: "To the Poem"
It's Frank O'Hara's "To the Poem". I love the contrasting images and to see how each of us chose to represent the lines. I've been on an El Greco of Toledo kick and so a lot of my drawings have a religious tone. This one below is after a pensive Magdalene. Ben also did a version of Magdalene, which you can see here.